Today I have a quick and inexpensive tutorial for a spooooky cobweb Halloween pumpkin. So cute! And, okay, not really all that spoooooky. This idea is in the Country Living book, Spooky & Bright: 101 Halloween Ideas. 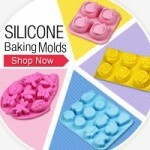 Which includes crafts, party decor and recipes. This particular ideas was so quick and easy, I couldn't pass it up! If you love Halloween, you'll love this book! 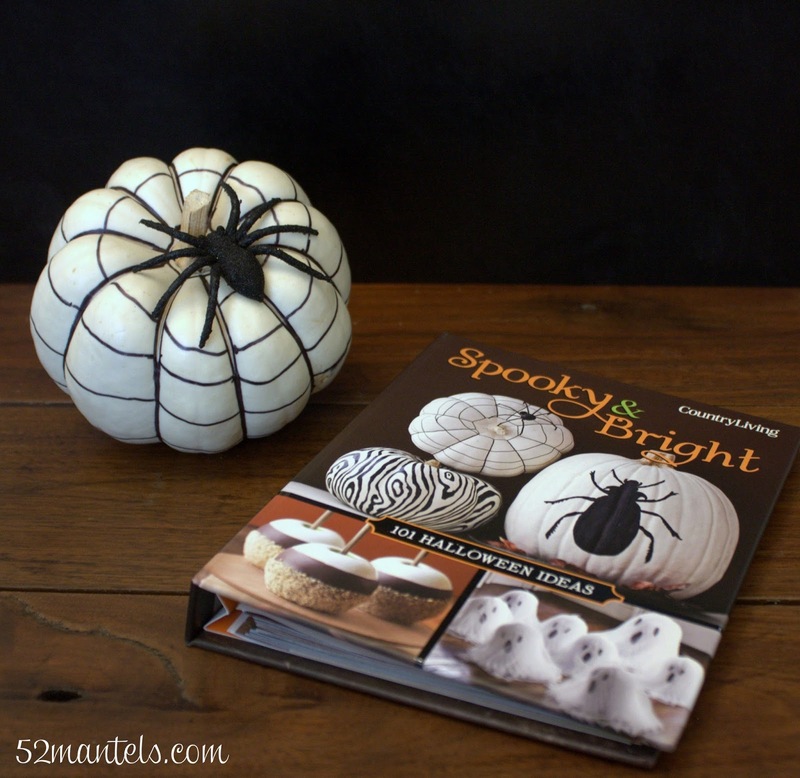 Spooky & Bright boasts plenty of pictures and helpful tips. There's an entire section just on pumpkin crafts, which are my favorite. But, the edible crafts and recipes are super cute as well. And, they've included some free templates in the back, which make it a breeze to recreate the ideas. 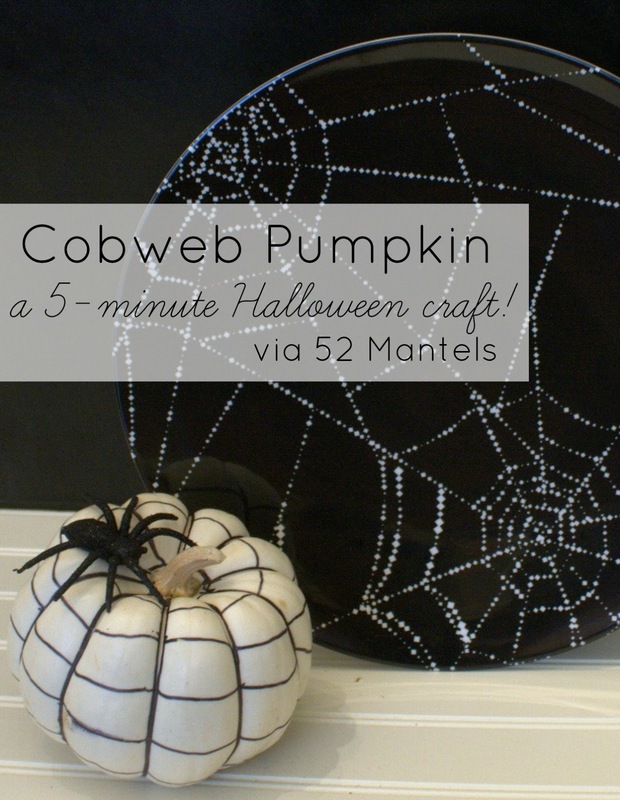 For the cobweb pumpkin, you'll need a plain, white pumpkin (or an orange pumpkin, spray-painted white! ), a black marker and a faux-spider. To turn your white pumpkin into a spider's web, take your sharpie and draw a continuous line all around the pumpkin, starting from the top. Then, draw a black line over each of the pumpkin grooves, from top to bottom. Glue a plastic spider in place, and you're all done! OR, this would only cost $0.97/one if you made a dozen and used every spider. Wouldn't these be cute Halloween party favors or playcard holders?? I think so! 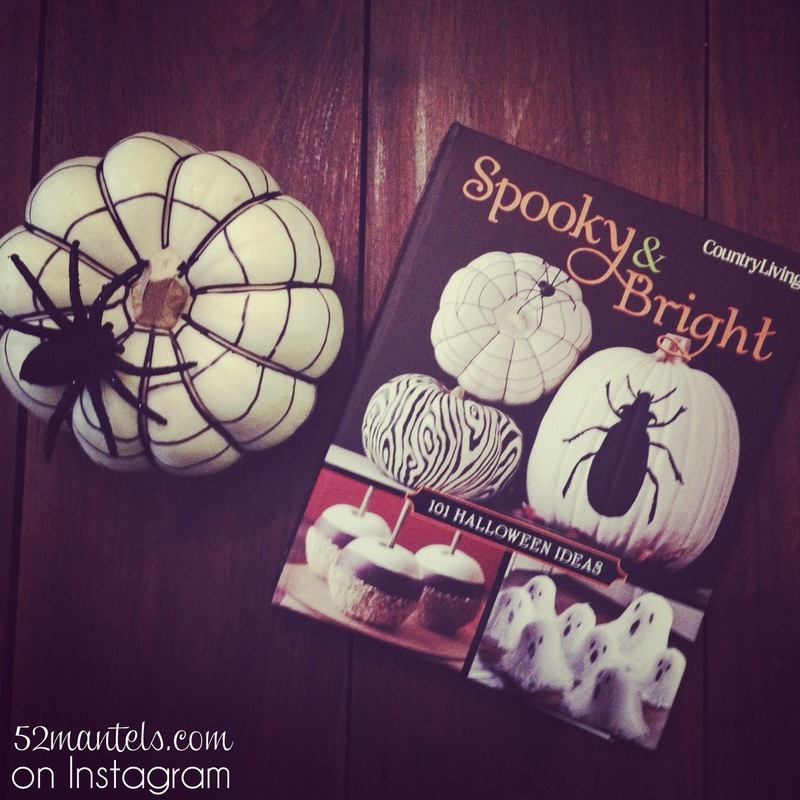 Grab a copy of Spooky & Bright for over 100 more festive Halloween ideas! **I received a complimentary book to review, but all opinions are 100% mine. Very cute, thanks for the great idea! 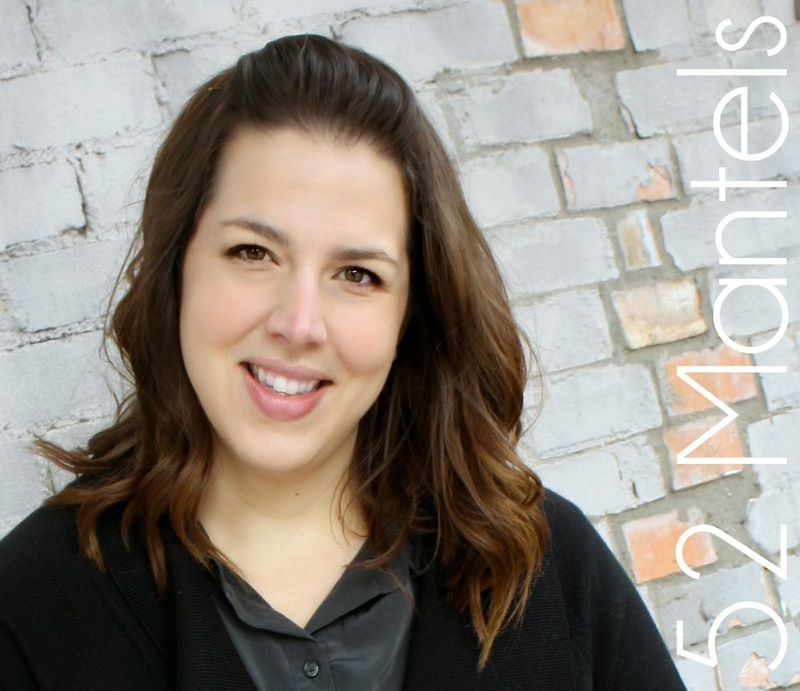 Easy and super cute!! Thanks for the great idea!! so cute! 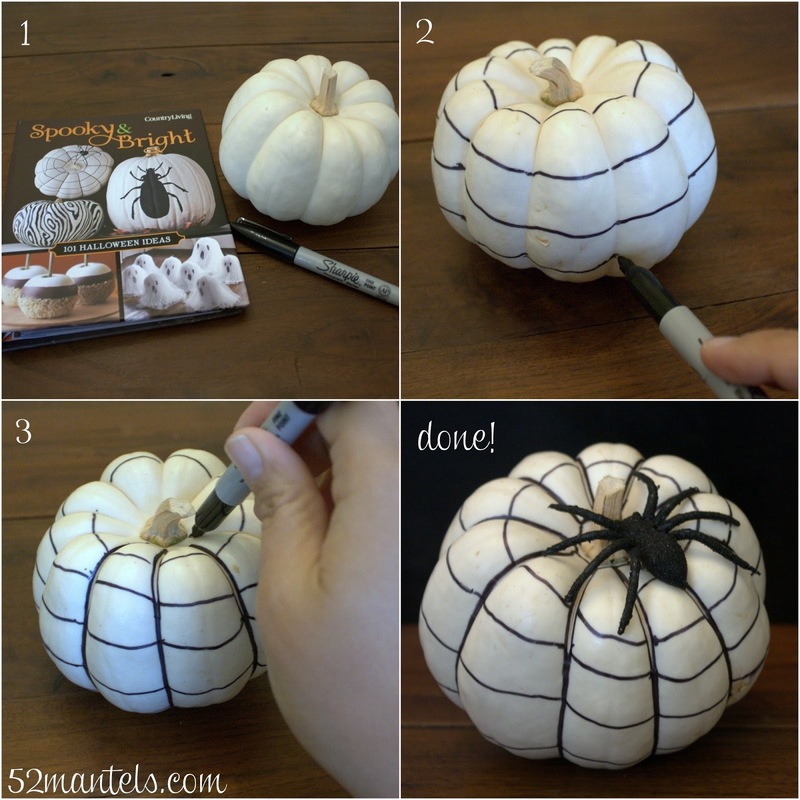 I think there is an endless supply of things to do to pumpkins : ) I love black and white though! Always my favorite! There really are a lot of things to do with pumpkins :). I'm a fan of black and white as well! even if the economy continued to flounder. “A slowdown of 10 percent is five Replica Watches ,” he said. “I can find five more customers.”Such modest ambitions stand in stark contrast to those of the brands that Replica watches UK showed at the nearby Palexpo arena in late January, when the 25th annual Salon International de la Haute Horlogerie, handbagreplica known as SIHH, drew some 15,000 buyers and journalists to Geneva. Replica handbags The Richemont-dominated fair — Rolex Daytona .